A show of Steve’s original music. Wonderful music, wonderful food, wonderful people. Yummy French food and jazz. What goes better with jazz than ratatouille? Our own James Williams birthday celebration. Come by to celebrate his life and music. We’ll be performing a double-bill concert with Scott Neumann’s fantastic NEU3 Trio. 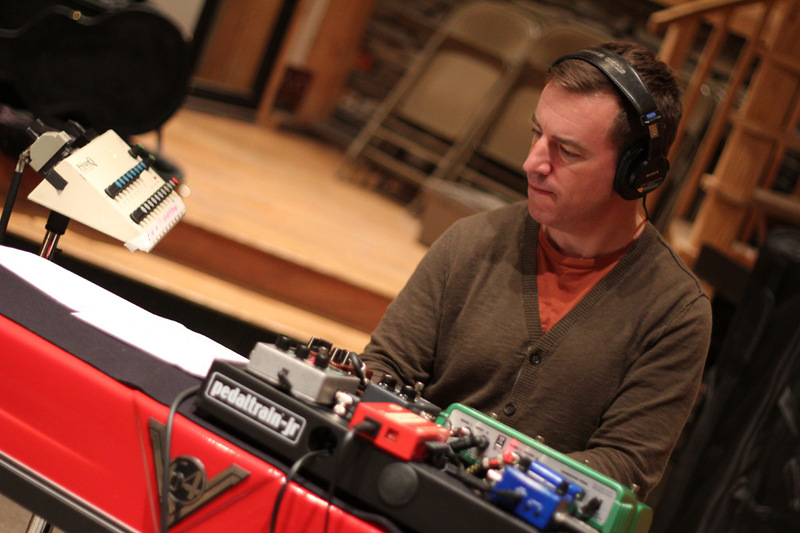 718 is an electric trio project I’ve been working on with Phil Palombi and Eric Halvorson. I’ll be playing my Vintage Vibe electric piano with various effects. It’s a fun project that takes me out of my acoustic piano safety zone. Come join the fun. 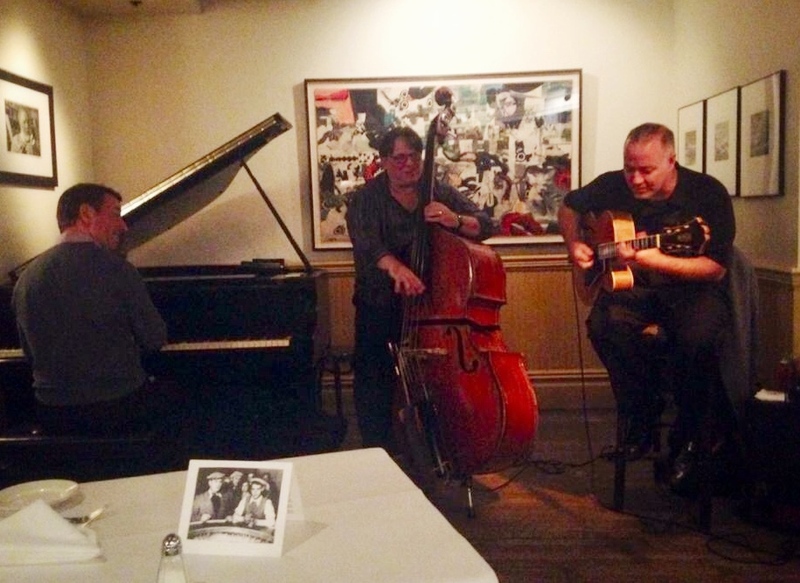 A concert of jazz music with John Sneider and friends. 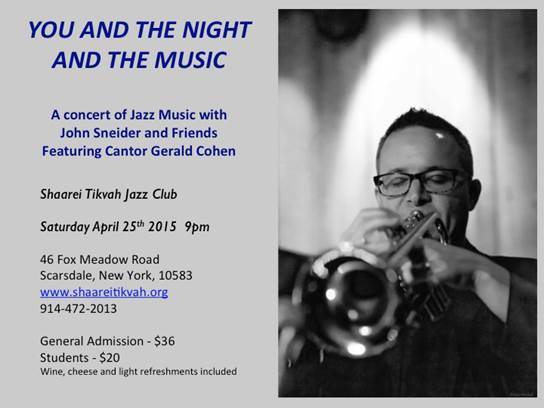 Featuring Cantor Gerald Cohen. Chris and I went to school together at the University of Tennessee. It feels like ages since we’ve played together, so I’m really looking forward to joining him for a set of his original music! The first set will be Chris playing trio – a CD release party for his “Phineas” recording – and I’ll be joining them for the second set for madness and musical mahem. Join us in this super-cool music lounge in Fort Collins! We’re excited to be a featured concert at the ISB convention. Phil will be performing on Scott LaFaro’s restored bass! This should be a special, bass-tastic show. TRI-FI will be joining vocalist Alycia Vince at this intimate house concert. Only 50 tickets available, so please make your reservations early. 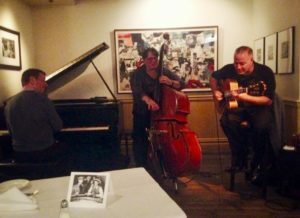 Part of the Blue Rhino Jazz concert series at Alexandra Restaurant. …and a whole bunch of strings, woodwinds and brass! Part of the Blue Rhino Jazz series at Alexandra Restaurant. Playing a show of Tim Horner‘s fantastic, free-flowing music. It’s rare to find someone who composes with such a sincere and distinctive voice. I’m playing with some pretty stellar musicians, at one of the best spots to hear live jazz in NYC. Recasting cabaret as an emotionally engaging experience rather than a place, host Ann Hampton Callaway celebrates intimate performances and heartfelt songs from a variety of genres: jazz, Broadway, folk , singer-songwriter, the blues, and more…. My sister, Loryn Spangler-Jones (visual artist) and I have been collaborating on a new work of art and music. It’s been an exciting process of blurring the lines between visual and aural – where art is created to inspire musical composition and music is composed to inspire a visual image. Join us for Parallel States – an exhibition showcasing the art that was created combined with a live performance of the music. These interesting events are intended for artists, but anyone is welcome to come have a drink and listen. The venue provides live models for sketching, live jazz for listening and a live bartender for drinking. It’s a scene that is oh so New York. Come sketch, or just come and listen. Join us on or a giant backyard party in da Bronx! The festivities start at 2pm with three bands on the lineup. We play at 5pm. Playing a duo show with the amazing Ann Hampton Callaway! Come ring in the new year with us!